The double ruyi-head washer is supported on a gnarled stem carved and pierced with ruyi heads. The underside is further embellished with leafy stems. 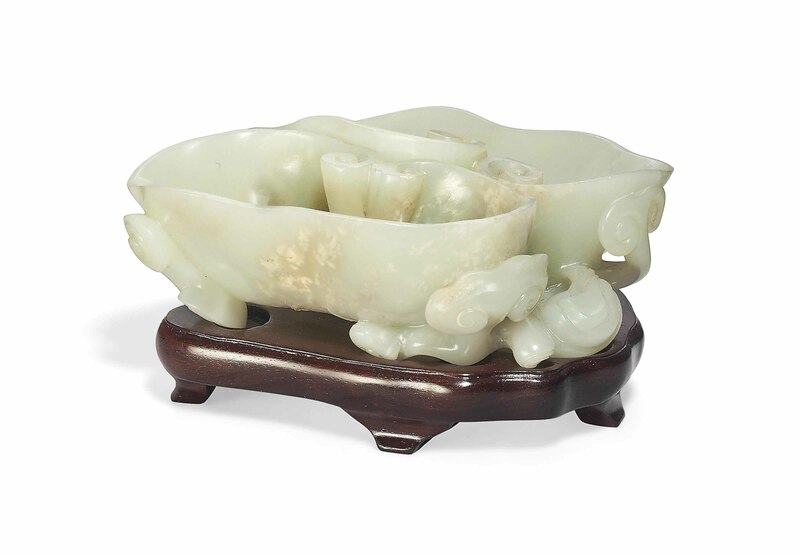 The pale celadon stone has light russet and cloudy white inclusions. With Jade House, Hong Kong, 24 June 1957.